Home > Explore > Whitney Western Art Museum > F.A.Q. Our Whitney Western Art Museum staff answers these frequently asked questions about researching works of art, donating art, and about our Remington Examination Process. Click here to go to FAQs specific to the Remington Examination process. Or, click here to view our new online Remington Catalogue Raisonné database. Q: What can you tell me about my work of art? A: The Whitney Western Art Museum receives many questions from private collectors asking for information about works of art that they own, or about the works of a particular artist. Although it is not within the scope of our public mission to do extensive research for private individuals, we encourage the understanding and appreciation of western art by serving as a research resource, responding to specific inquiries and pointing individuals to other sources for information, as our resources and time permit. We have prepared bibliographies on some artists. Often, individuals ask about a specific work of art, but provide very limited information about the work, which makes it difficult for our museum or other sources to respond. We have prepared Guidelines for Documenting Works of Art. Private collectors will increase their own knowledge and be in a stronger position to obtain advice by documenting their works of art as suggested. Q: What is my work of art worth? A: Staff members of the Buffalo Bill Center of the West are prohibited by museum policy from providing appraisals. We do not offer opinions on financial value. 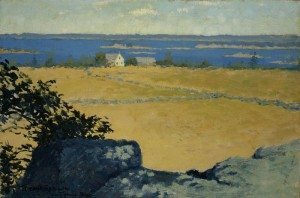 Researching financial value or obtaining an official appraisal is the private collector’s responsibility. Sometimes, Whitney Museum staff members might be able to point private collectors to methods of researching financial value. Organizations of appraisers can be consulted. Here is a list of appraisal organizations. Q: I want to sell my work of art. Will you buy it or tell me how to sell it? A: The Buffalo Bill Center of the West is always interested in improving its collections, but realistically, we are not often in a position to purchase works of art. We have extremely limited funds for acquisitions, and we have institutionally-defined priorities. 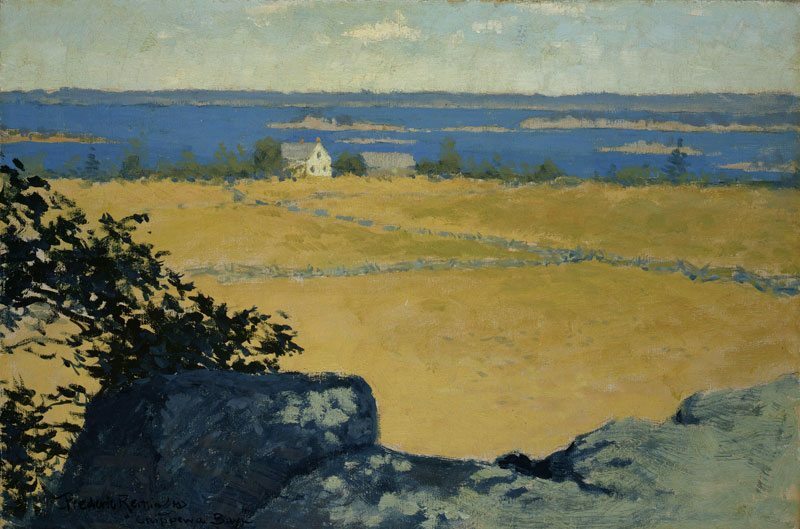 If you would like to provide information and imagery on a work of art that you wish to sell, we will review your material in reference to our collections priorities and as part of our efforts to be informed about western American art. We can sometimes offer guidance in methods of researching the western art scene, but we are not able to advise individuals on the sale of their private property. Q: I would like to donate my work of art to your museum. What would I need to do? A: The Buffalo Bill Center of the West is very grateful to the many people who have helped to build our collections through donations. We continue to develop our holdings through generous gifts. Donating a work of art is a noble action. Our process involves a review to make certain that a possible acquisition would be appropriate for our collections, that we would be able to use and care for it, and that we address any donor concerns. We would ask collectors to contact us; curatorial staff will respond so that we can discuss any concerns that the potential donor might have and how the work might fit in the museum’s collections. Q. Who do I contact with questions regarding the overall process? A. Nicole Harrison, Curatorial Assistant, Whitney Western Art Museum: direct line 307-578-4051 or e-mail. Or Karen McWhorter, Scarlett Curator of Western American Art: direct line 307-578-4053 or e-mail. Q. Who do I contact with questions regarding shipping? A. Nicole Harrison, Curatorial Assistant: direct line 307-578-4051 or e-mail. Q. What is the deadline if I want to have my item considered at the Exam? A. Space is limited in the Exam session, which takes place once per year in mid-spring, and will be determined on a first-come first-serve basis. We must receive your paperwork no later than January 15 to reserve your space. Once you have submitted paperwork and communicated with Nichole Harrison about shipping, your item must arrive at the Center two weeks prior to the Exam date to be considered. If you miss the deadline, your item will not be reviewed until the next Exam. Q. How early can I ship my Item to the Center? A. Please contact Nicole Harrison for shipping arrangements. The Center will accept items no earlier than 6 weeks prior to the Exam date. Your item must be at the Center two weeks prior to the Exam date. Q. When will my item be returned to me? A. Nicole Harrison will contact you immediately following the Exam to arrange return shipping. The item is returned as soon as the Center schedule allows. The time frame depends on the total number of items received for the examination. Q. How do I insure my item during shipping and while it is in the possession of the Center? A. The Center will not cover insurance for your item during shipping or while your item is in the possession of the Center. Please talk to your shipper for insurance during transit and your insurance agent regarding additional policies. Q. Why should I submit my item to the Exam and pay the fee? A. Authentication is important to the provenance of your item. The Center is the only place that can authenticate a two dimensional Remington item. If your item is authenticated, it will be published in the online Remington catalogue raisonné. The Remington catalogue raisonné includes signed oils, watercolors, and drawings that were published during the artist’s lifetime as well as certain unsigned, unfinished paintings. Q. What do you need from me for the Exam? A. 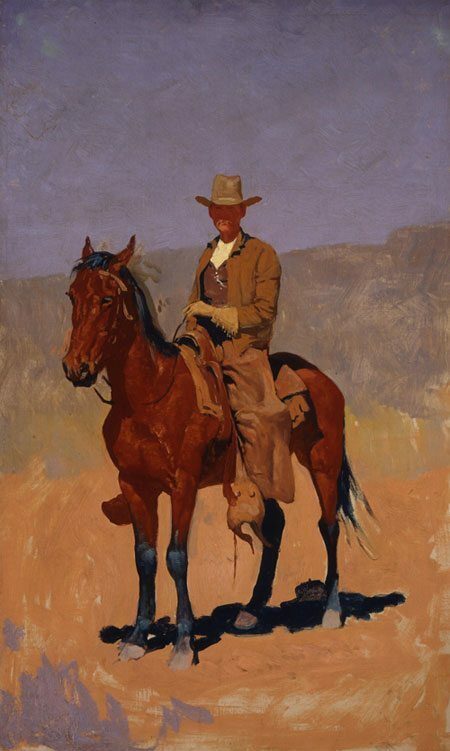 Please refer to the “Frederic Remington Catalogue Raisonné Checklist” and send the following to the Center (attention Nicole Harrison): signed “Request for Examination” form, payment of the appropriate fee, information about your item and supporting documentation. Send the shipping return notice with your item and coordinate shipping with Nicole Harrison. Q. What should I send for supporting documentation for my item? Q. What is “provenance” and how do I find it for my item? A. Provenance is the ownership history of your item. First indicate when, where, how, and from whom the work was acquired. Then look to all previous owners—provide full first and last names and geographical locations. If possible, go back to the direct source of this information and obtain prior ownership information. If the individual is deceased, interview other people who might have knowledge or records about the work. Provide copies of bills of sale, inventories, or other records that support the provenance. Q. Can an art dealer or auction house submit the item on my behalf? A. As the owner, you must sign the forms. You will also receive the opinion of the committee. A dealer or auction house may help you with shipping and fees, but you will be the primary contact. Q. How does the committee determine authentication? A. Connoisseurship is the best tool for an art historian. When reviewing the actual works of art, the committee studies the works from an art historical perspective. Each work is considered in relation to Remington’s known body of works and his methods of drawing and painting. To consider whether an attribution to Remington is appropriate, the scholars use connoisseurship, the thorough understanding of the visual characteristics of Remington’s work including technique, form and style. The committee also applies the knowledge gathered for the catalogue raisonné and, where relevant, information from the artist’s written materials such as journals and letters for historical context. If the committee determines that testing of materials would enhance the review, they will recommend scientific testing. The team is committed to the best available resources, which could change over time, especially with advances in scientific technology used in art. Q. What will I receive at the end of the Exam? A. Immediately following the Exam, Nicole Harrison will contact you to arrange return shipping. In eight to twelve weeks following the Exam you will receive a copy of the written opinion of the committee by U.S. mail. The opinion will be signed by the committee members. It is against our policy to give you the opinion electronically or over the phone. Q. Can you tell me the value of my item? A. No. As a non-profit educational institution, the Center does not provide appraisals or value estimates. Therefore no estimate or opinion concerning the monetary value of any work of art will be given. This process is provided for research and educational purposes only. You can contact the American Society of Appraisers for more information on appraisals. 1-800-ASA-VALU. Q. What does the examination fee pay for? A. The examination fee pays for expenses only—travel, lodging, and meals for the Committee during the examination time, and professional handling and photography by the Center for the Items. The Committee members are not paid an honorarium or any fees for their participation and scholarly expertise. Fee does not include shipping and insurance costs.